The World Cup in the USA set new heights for FC Barcelona, with 12 players on show, four more than the previous record. Nine of those played for Spain, who reached the quarter finals, as did Ronald Koeman’s Holland, while Hristo Stoichkov finished as the tournament’s top scorer with six goals as Bulgaria went further than ever before - all the way to the semi-finals. 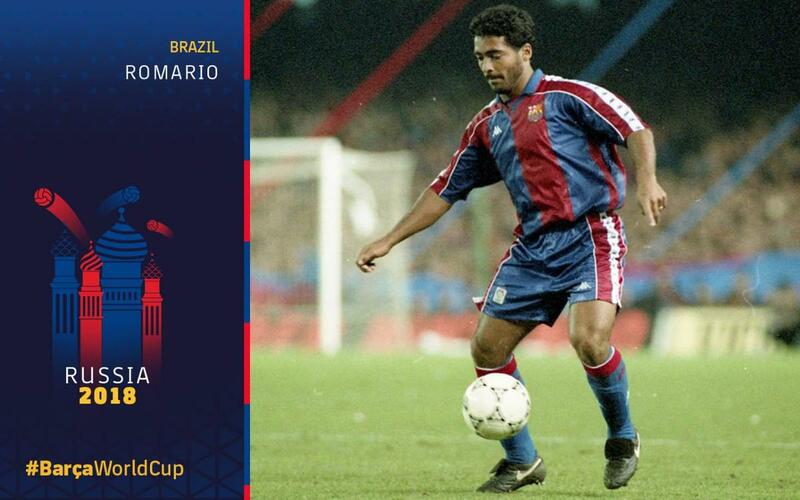 But the biggest star in 1994 was Romario. The Brazilian scored five goals to help his team towards its fourth world crown, beating Italy on penalties in the final. In doing so, he became the first current Barça player to get his hands on the trophy. He was named player of the tournament and collected the FIFA World Player award later on in the year. After his amazing 1994, the darker side of the outrageously gifted Brazilian started showing through. Poor performances and a questionable attitude led to his departure from the Camp Nou in 1995. He returned to Brazil to play for Flamengo, but would eventually return to Spain to don the Valencia shirt. That experience didn’t work out for him and he’d end up playing in Qatar, the United States and Australia before retiring in 2008. But a year later he reappeared for a final swansong, joining second division America in Rio de Janeiro, which he said he was doing to satisfy his father’s dream of seeing him play for his beloved local club. Since hanging up his boots for good, he has gone into politics.